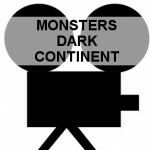 The Monsters Dark Continent movie 2015 directed by Tom Green which is available at this time on Virgin Media for about 3.50 seemed like a good action film to watch, being that i’m into alien type movies and also war or battle type scenes. So last night I rented and watched it from start to finish. It opens up with no monsters, just some time spent not on the continent which the film’s about, rather in the U.S. in Detroit and introduces the viewer to some of the characters who wish to become soldiers in the Middle East to do battle with huge monster things roaming round the desert in the dark – and light actually. Apart from mentioning that the monsters are from an invasion or something, there’s not much information about where they came from or what their overall purpose in life is really. Anyway – off the soldiers go, and get involved with some fighting against terrorists. Some of them get shot, good battle scene in particular with an I.E.D. to kick off the action. We are left with two guys who get captured and manage to escape – they get hoods over their heads and taken off to some building or other and tied to chairs (there are three originally but one kicks it). Anyway – two get away and off they go and find a kid in a bus – he is still alive. A bit more detail required? Oh go on then if I must. The “monsters” don’t really feature in the film much – apparently they are just wiped out with regular airstrikes, a couple of which we see (generally lasting a minute if that – so nothing to write home about and often the scenes are darkly presented). So this bus is there, among these massive lumbering alien monsters running round a “dark continent” – not sure what that means either (one can only imagine what it was doing hanging out with them – but it must have been because the airstrike hit the kids transportation at the same time it got the aliens) – whatever. So this young boy is alive and some people from a local settlement are out looking for survivors and they take the boy back to the village along with the two soldiers. The lad dies anyway, one of the troops goes mad and then they both leave the village. d the good guy shoots him, only a wound, but probably a fatal one. The injured man goes wandering off, followed by the shooter (his comrade) eventually arriving at some location in the desert where they can both see this absolutely massive monster emerging from the sand in the not too distant desert. The wounded guy screams and the film comes to an abrupt end. I won’t be watching this again, even though it’s available on rental for another 24 or so hours. I was bored from the outset and bored at the end. Granted there are a few good battle scenes in it, and I even have to admit some fantastic camera work. But there was virtually no tension all the way through. I think there may have been some allusion to perceived evil and maybe even some comparisons of behaviours at play during this 2015 movie – but to be truthful, if there was, it went way above my head and I’m not even certain. The monsters themselves were not really shown that often, so whereas you may want to see out and out war like battles between man and alien “thing”, such as in War of the Worlds, or Aliens on a small scale, it isn’t really what the film is all about. What it is about – we aren’t really certain. The effects were good with the guns and the what you got to see of the monsters themselves. I personally felt the story was weak. - Monsters Dark Continent - not much about Monsters.